In the following document we will walk you through the process of making projects and task categories. 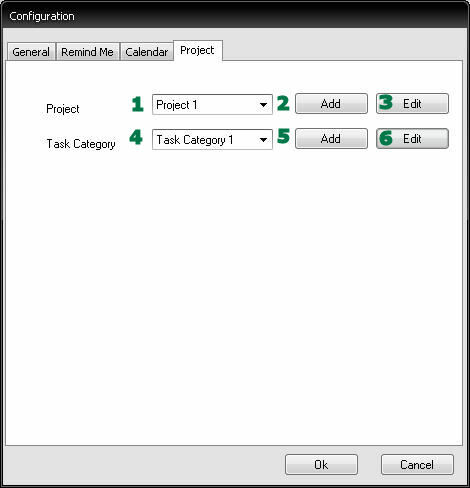 The projects and task categories are needed to make tasks inside the calendar. Click add next to the project titel(3) in the Configuration window. Click “Ok”, now a new project is created. Path to the Premember Configuration. select the project where you want to add the task category (1). 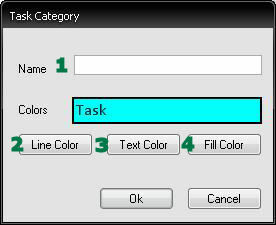 Fill in the name of the task category(1) and select the color(2,3,4) of the task category that you want to create. click “Ok”, now a new task category is created with the selected colors.